MD Floors is looking for more floor installers. 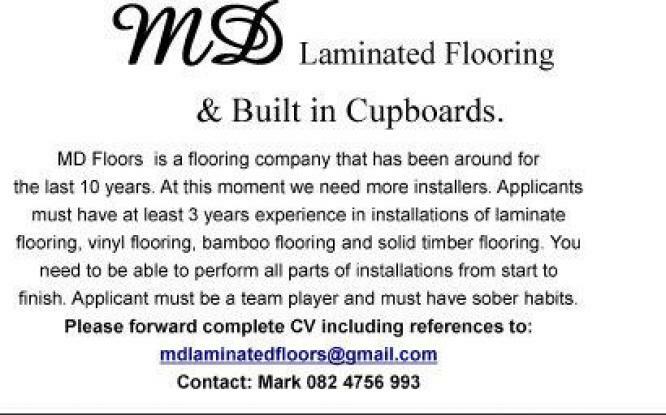 Applicants must have experience in installation of Laminated, Vinyl, Bamboo and Solid wooden floors. He needs to be able to perform all parts of installations from start to finish. Applicant must be a team player and must have sober habits.